Azamara Club Cruises spends more time in port, which means that guests can be as active as they want. Because of the generous amount of time in port, guests don’t feel rushed or overwhelmed that they are missing something. In Liverpool, there is much to see and do. Besides Azamara Shore Excursions excursions offered by the ship, guests could explore on their own, which is how I choose to explore the city that is famous for Beatlemania and the shipping trade. 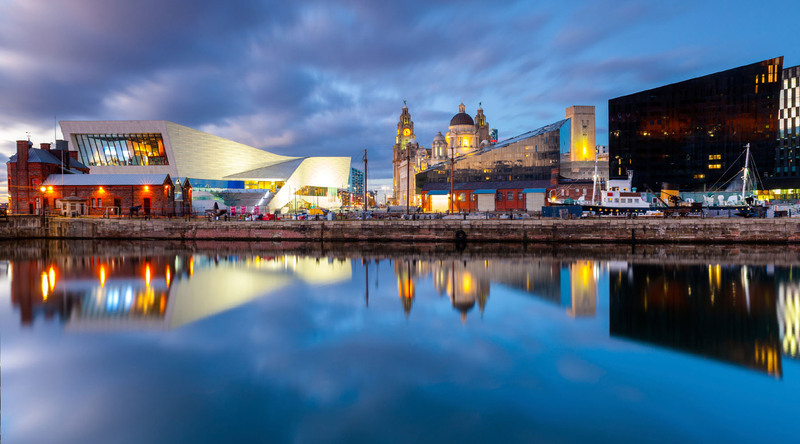 Liverpool is England’s third largest city, so having enough time in port is crucial to get a sense of place. The ship docked in a prime location along the Strand in the Mersey River. I chose to take my time getting up before setting off on a local bus tour of city. There were two hop-on-hop-off bus tour options right outside the cruise terminal. I opted for the bus that offered a local guide. The guide was extremely helpful and he did a good job making sure that passengers on the tour bus got a good education about Liverpool. One thing of interest to me was learning about Irish immigrants who traveled from the port to America in search of better prospects. Between 1830 and 1930, nine million people sailed from Liverpool to America. After a full day of exploring Liverpool, I headed back to the ship to get ready for the AzAmazing Evening signature event at the Liverpool Anglican Cathedral. We gathered into buses for a short ride to the cathedral where Azamara Quest had a private concert held in the largest cathedral in Britain. The venue was truly spectacular and a great place to enjoy two sets of music: a classical performance with opera singers, which was then followed by a lively set of Beatles music performed by the Cavern Club Beatles. One of the highlights of the evening was listening to the organ inside of the cathedral. The grandiose organ has 10,268 pipes, which sounded impressive inside the building. Sitting inside the cathedral and taking in the sights was over the top. The building has a 300-foot tower, the United Kingdom’s third-heaviest bourdon bell and beautiful stained glass windows. Once we came back to the ship, Captain Jose personally greeted passengers back to Azamara Quest while the jazz band played dockside. Once we got back onboard we were treated to a fireworks show to top off the night.